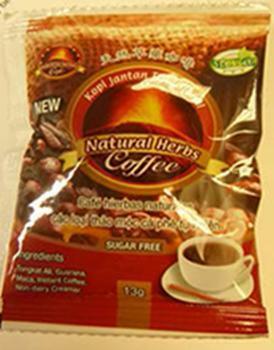 Bestherbs Coffee is recalling all lots of New of Kopi Jantan Tradisional Natural Herbs Coffee. Laboratory analysis has confirmed the presence of desmethyl carbodenafil, which is structurally similar to sildenafil, the active ingredient in Viagra, an FDA-approved prescription drug for erectile dysfunction (ED). Desmethyl carbodenafil may interact with nitrates found in some prescription drugs, such as nitroglycerin, and may lower blood pressure to dangerous levels. The product also contains milk, an allergen not declared on the label milk. The recalled product, used as a male enhancement, is packaged in 13-gram red packs, UPC 557205060083 in a box containing 25 packets and was distributed from July 2014, through June 2016. Customers who purchased the recalled product should stop using it, discard it and contact their doctor. Those returning the product to Bestherbs Coffee LLC, 4250 Claremont Dr, Grand Priarie, Texas 75052, will be reimbursed by check for the returned goods and postage. Consumers with questions may contact the company at 817-903-2288 Monday thru Friday 9am to 5pm (CST), or by email at Albertyee.abc@hotmail.com.